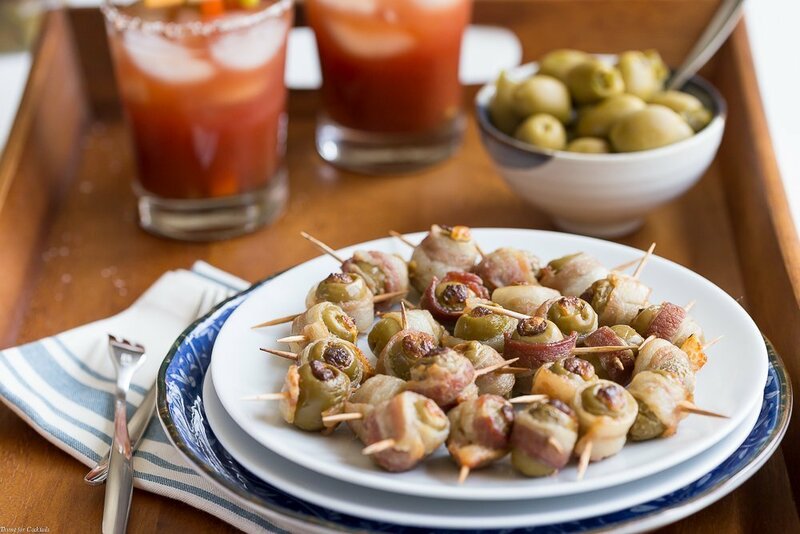 The next time you need an appetizer that is going to completely impress your friends/family/coworkers pull out this recipe for Spicy Bacon Wrapped Olives. You can easily make these delectably salty bite-sized morsels a day (or so) in advance then pop them in the oven right to bake before serving. They are a fun new flavor explosion that you can’t help but devour! 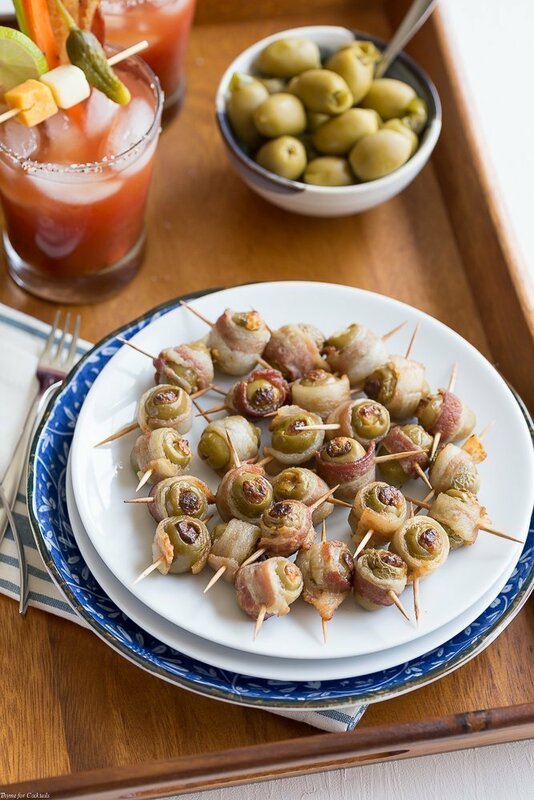 Salty snacks need to be well balanced and our favorite jalapeno stuffed Pearls® Specialties olives are perfect for this Spicy Bacon Wrapped Olives recipe. If you are in a pinch I recommend keeping things easy by simply wrapping these ripe olives in bacon then baking them until crispy. 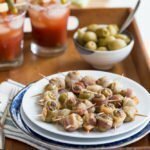 There are several other varieties of Pearls® Specialties olives available on Amazon or at a store near you that would be equally delicious wrapped in bacon. Since we had a little more time on our hands I removed the jalapeños from the olives. Then mixed them into a nice cream cheese blend and re-stuffed the olives. Naturally we still wrapped them in bacon too. 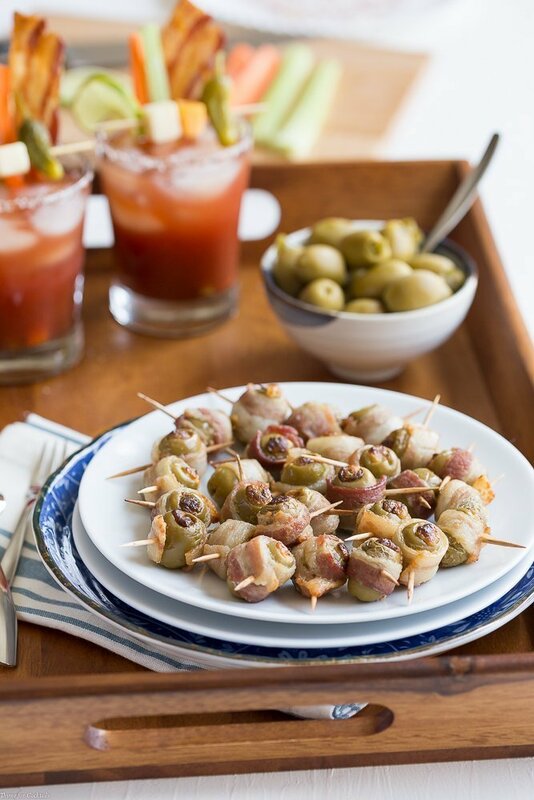 These Spicy Bacon Wrapped Olives really put those other poppers to shame! Try brushing them with a sweet glaze for a contrasting flavor combo! 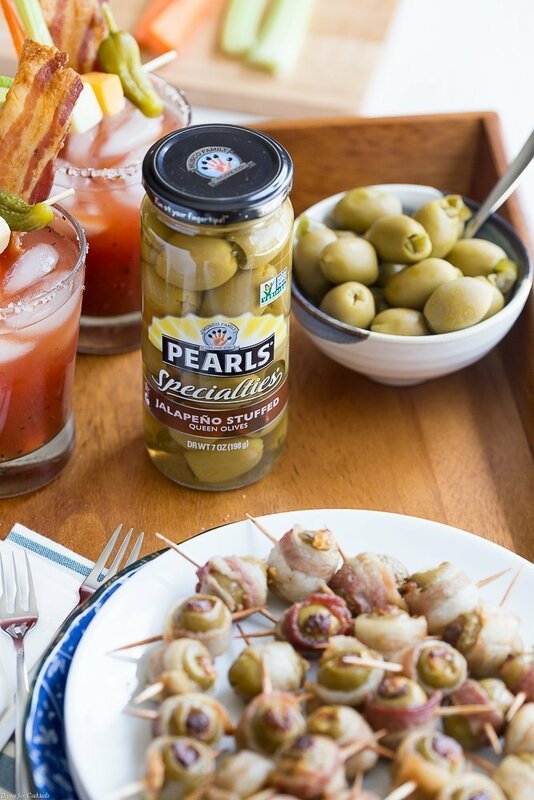 Regardless of how you like them, Pearls® Specialties olives are perfect for all your entertaining needs. I hope you like these Spicy Bacon Wrapped Olives as much as my crew does. If you love these delicious bite-sized recipes, you can find more like it by checking out my other Appetizer recipes! For recipe inspiration delivered to your inbox, subscribe to my newsletter, follow my photography journey on Instagram, and for generally inappropriate humor follow like me on Facebook! Preheat oven to 425°F. Line a large baking sheet with foil. Place a baking rack over the foil, set aside. Drain olives, reserve juice. See below for recipe suggestions. Remove jalapeños from olives. Set olives aside in a large bowl. Place peppers in a food processor along with cream cheese, parmesan cheese, and garlic powder. Pulse until finely chopped and well mixed. Salt and pepper to taste. Put filling in a medium sized sealable plastic bag. Cut a small tip off the corner of the bag. Gently squeeze bag to pipe filling in each olive. Cut bacon in half lengthwise, then into thirds making 6 pieces. Repeat with each slice of bacon. Wrap each olive with a piece of bacon. Secure with toothpicks. Place wrapped olives on baking sheet. Bake 20-25 minutes until crispy. Serve warm. Tip- Use reserved olive juice in marinades, salad dressings, and cocktail recipes.